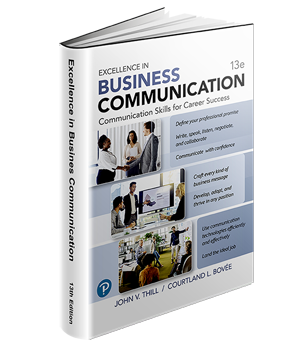 ▪ Selection Advice: Guides instructors in choosing the best one of three Bovee & Thill business communication texts for their course as they transition from their current text. ▪ Content Mapping: Shows where to find comparable content sections from their current book in the Bovée & Thill book that has been chosen. ▪ Terminology Translator: Provides instructors with an understanding of the similarities and differences between their current text's terminology and the Bovee and Thill book they have chosen. ▪ Activity Mapping: Shows where to find comparable assignments and other student projects. 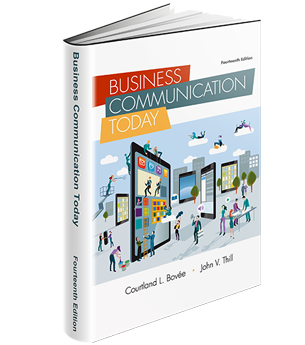 The guide also highlights new material and new activities available in the chosen Bovée & Thill book that the current textbook doesn’t have. ▪ Syllabus: This interactive tool helps instructors generate a syllabus that makes the best use of their new Bovée & Thill title, including course outcomes, detailed assessment rubrics, and the framework for a course calendar. Instructors can easily pull in content from their existing syllabus and add required material from their institution. After instructors complete an online interview, the system generates a Word document that instructors can then customize and finalize as needed. ▪ Lesson Plans. 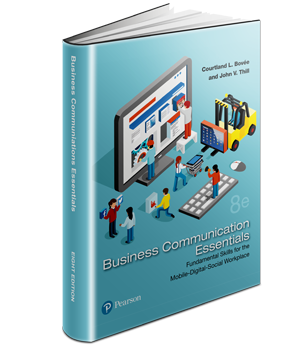 These plans will provide instructors with solid support for teaching a business communication or business writing course.